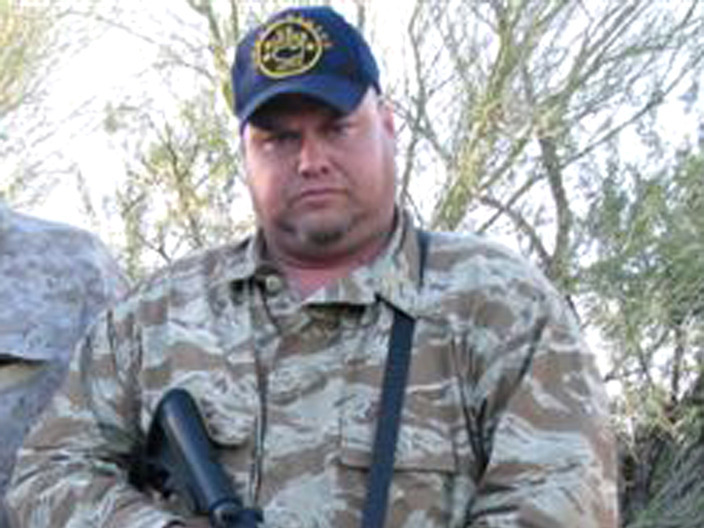 Militia Leader Reportedly Involved In Shooting Deaths Of Four In Arizona : The Two-Way A man fatally shot four people Wednesday outside of Phoenix before being found dead, authorities say. Among the dead was a girl between 1 and 2 years old. Sources tell The Arizona Republic the shooter was neo-Nazi J.T. Ready. J.T. 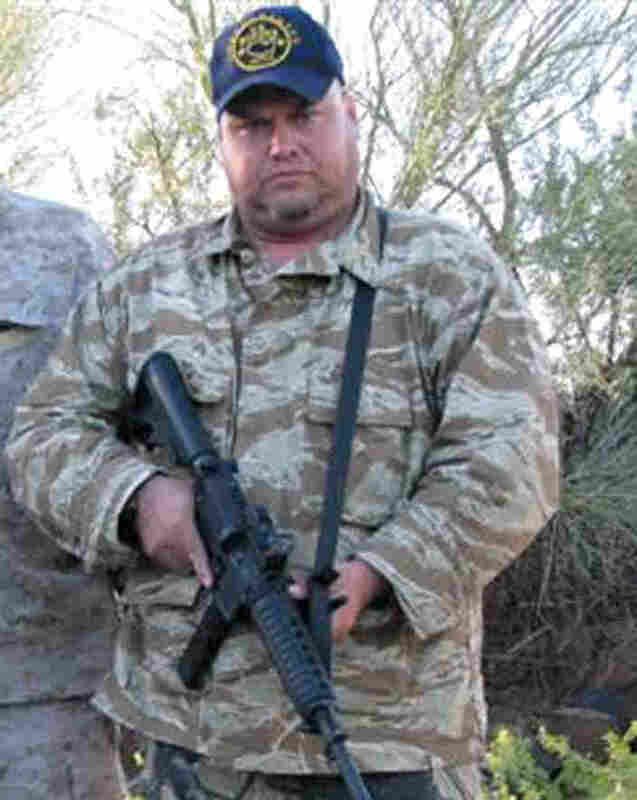 Ready is a reputed neo-Nazi who has been conducting heavily armed patrols to catch illegal aliens in the Arizona desert. A man fatally shot four people Wednesday outside of Phoenix before being found dead, authorities say. Among the victims was a girl between 1 and 2 years old. There are concerns about possible hazardous materials in 55-gallon drums in the backyard, The Associated Press reports, slowing the investigation. Unnamed sources told The Arizona Republic on Wednesday that the shooter was border militia leader J.T. Ready, "a reputed neo-Nazi who made headlines when he launched a militia movement to patrol the Arizona desert to hunt for illegal immigrants and drug smugglers." This morning, The Associated Press reported that "police have identified one of the five people killed ... as Jason Todd Ready." In 2005, Ready was part of the so-called Minuteman Project, which NPR's Ted Robbins covered. Citizens, including Ready, began a month-long stakeout, scanning for illegal immigrants along the border. Earlier this year, The Arizona Republic says, Ready "formed an exploratory committee for a run as Pinal County sheriff." As the Southern Poverty Law Center reports, Ready has unsuccessfully run for various offices and "advocates for the placement of landmines on the border." The shootings occurred in the residential neighborhood around 1 p.m., according to The Arizona Republic. Two local schools were on "modified lockdown" until 2 p.m., which, as the paper explains, means classes continued, but no one could enter or exit the buildings. Local resident DeAnn Rawson told the paper she was "sick to my stomach, as you can tell everyone driving by is absolutely shocked."